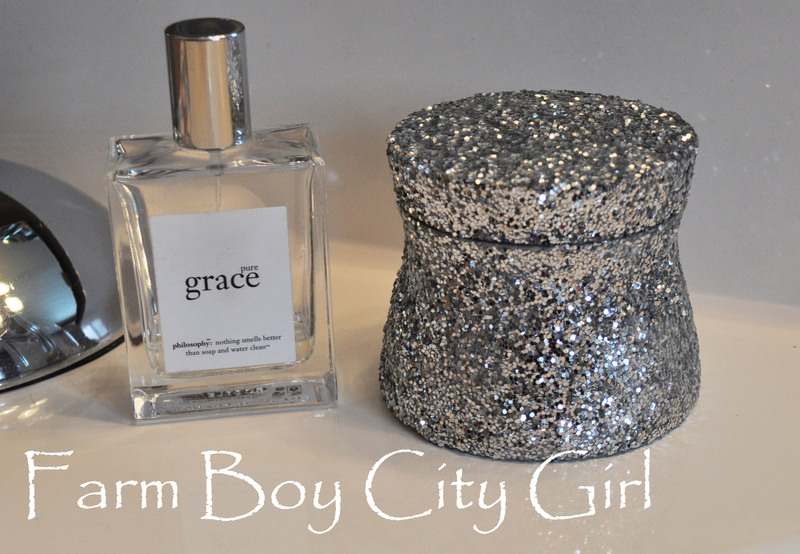 What girl doesn’t like a little sparkle? Is that even a question? So one day I was looking at my almost empty container of hair treatment and noticed the shape of the container. There was no way I was throwing it away so…..I started to think of what I could do with it. 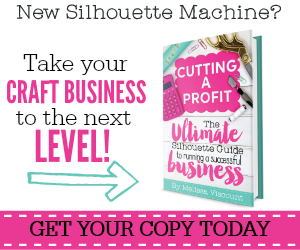 I could paint it or use my favorite product – Mod Podge. This lamp was my inspiration. I love how shiny and sparkly it is. So here is what I used. Yep just three things. 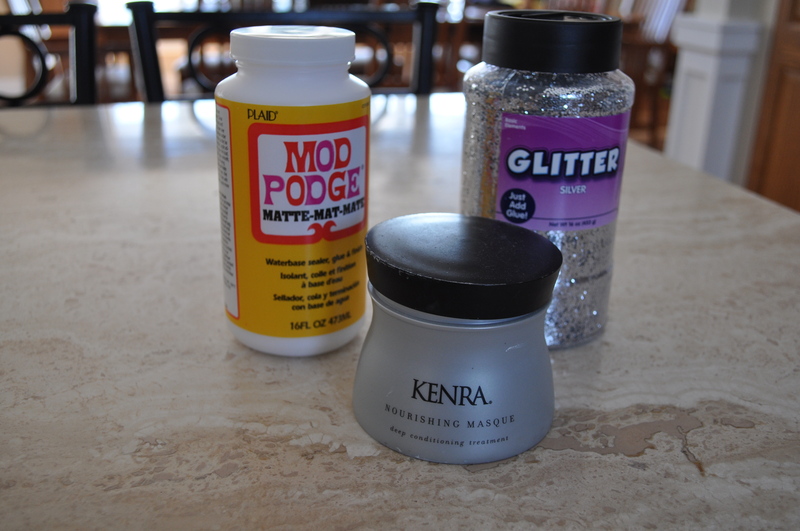 Mod Podge, glitter and my Kenra container. 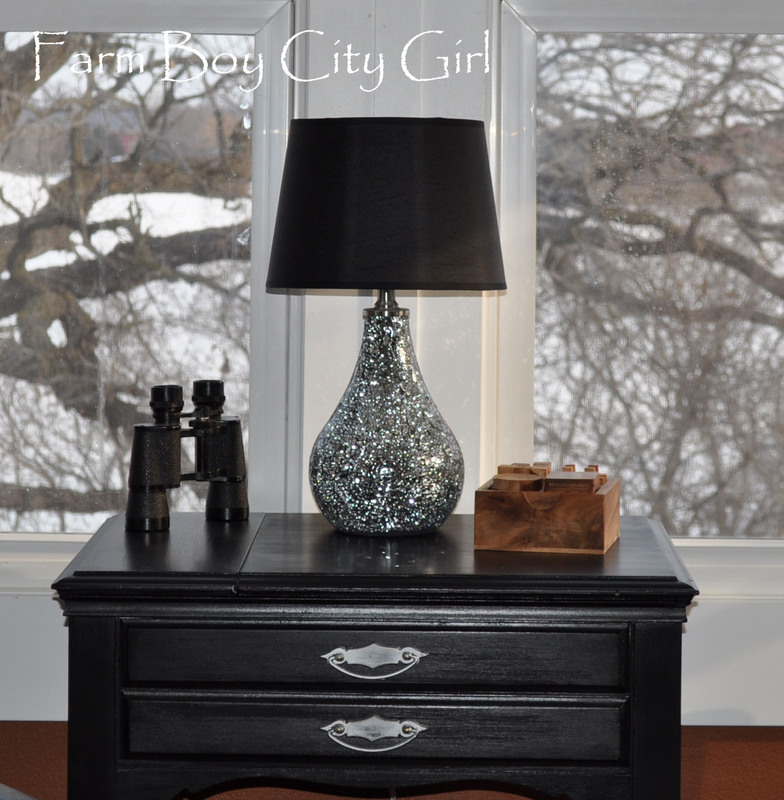 This project is almost free as you don’t need to use a lot of Mod Podge or glitter. **This picture shows Matte Mod Podge but read further to see that I ended up using Glossy Mod Podge. 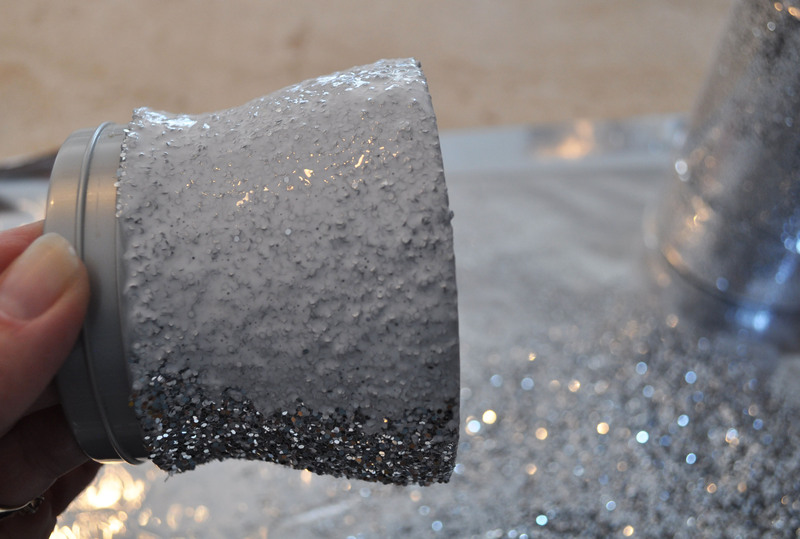 I put tinfoil down so that after I was done with the glitter, it was easy to get back into the container. 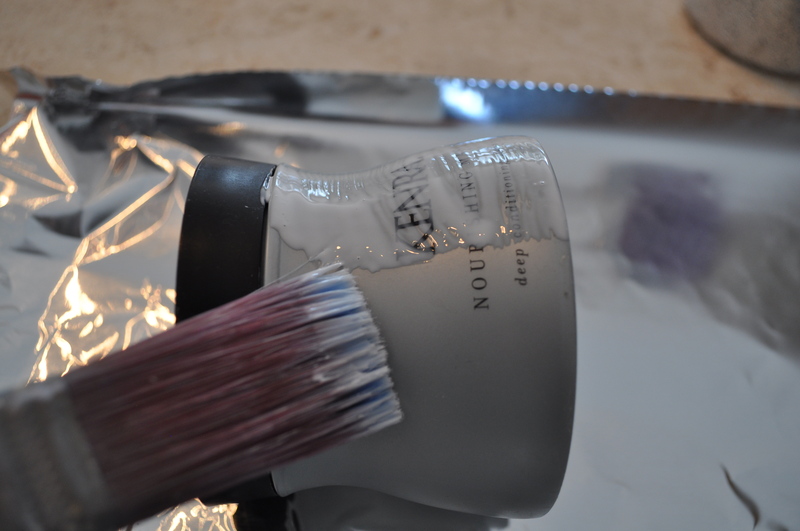 I started by brushing the Mod Podge on the container. I kept the lid on so the Mod Podge didn’t get on the part where the cover goes. Now your ready to sprinkle (or pour like me) the glitter on. Let it dry and then apply another coat of Mod Podge, so the glitter doesn’t flake off. I noticed that the glitter wasn’t very shinny anymore and figured out it was because I used the Matte Mod Podge. Back to the cabinet to get the glossy stuff. I did another layer of glitter and then brushed the Glossy Mod Podge. That did the trick. The cover was done separately but the same way. And that’s it. Let it dry and now you are ready to use it. The top could be left off but if that’s the case either glitter the whole thing or hot glue a pretty ribbon at the top. It’s so pretty! A little tip. You may want to paint the container closer to the color of the glitter. 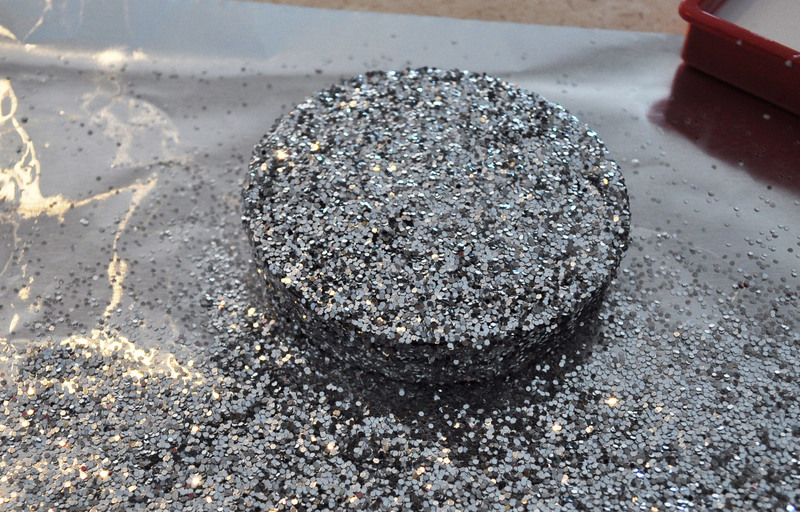 The bottom of the container was already gray so it was perfect but since the cover was black it took more glitter to make sure the black didn’t show through. Mod Podge is awesome! 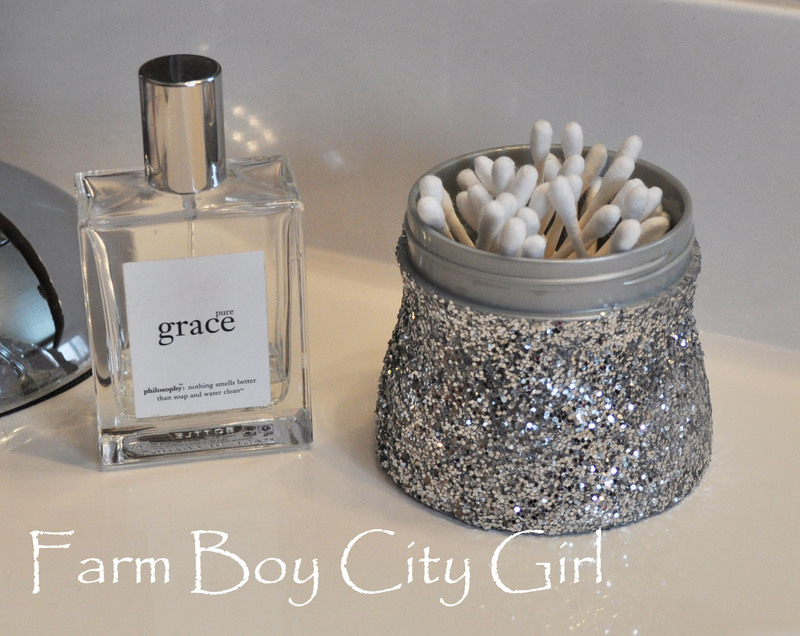 This entry was posted in Before and After, Crafts, Mod Podge, Storage and tagged before and after container, diy, Free storage, glitter, how to use modpodge, modpodge, modpodge ideas, modpodge projects, what is modpodge, what to do with modpodge. Bookmark the permalink.